"Comprehensive and interactive but lacks in-depth material for beginners." Living Language is one of the oldest foreign language instructional companies and has been in business for over 65 years. Millions of people have used the course material to master a foreign language. One of the newer additions to their range is Living Language Mandarin Chinese. Chinese is traditionally a language that many Westerners struggle to learn. Therefore I was interested to try it out myself and see how effective this method was. Below you will read my complete review of the Platinum edition, including an overview of the product and its major advantages and disadvantages. 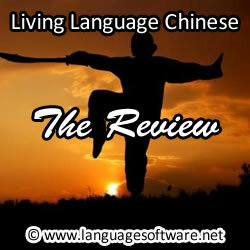 At the end of the review you will find an overall recommendation for Living Language Platinum challenges. The Platinum edition costs $179. This includes access to three textbooks, nine audio CDs, and the online course. There's also the option of an online course only. This is priced at $150 and includes access to 46 Chinese language lessons, an online tutor, and access to the forums. If you are looking for a less expensive option, there's the essential components product. This is priced at $22.99. It includes one book of 10 lessons, an 80 page character guide, three audio CDs, and some online material including flashcards. Finally there is the complete components option. This is priced at $49.99 and includes three books of 46 lessons, a character guide, nine audio CDs, and free online learning resources. Mandarin Chinese is a difficult language for most English speakers. Living Language uses an academic approach to teaching reading, writing, and spoken Mandarin Chinese. The basic teaching method is divided into four stages. The first stage teaches basic Mandarin Chinese words and phrases. The second stage shows how to construct basic Mandarin Chinese sentences. The third stage reinforces the material learnt with audio, visual, and interactive conversations. The fourth stage consolidates the knowledge and shows how to use the material to create conversations. Great alternative to a Chinese tutor - if you don't live in a major city and have access to someone who can teach you Chinese one-to-one, this program is an excellent alternative. Thanks to the online e-tutor you have the opportunity to review the lesson material with a native Chinese speaker. The online social community allows you to interact with other Chinese Mandarin learners. Teaches written Chinese characters - one of the hardest parts of learning Mandarin Chinese is the written language. Some language courses get around this problem by not teaching the written characters or only giving their Roman version. In contrast Living Language provides you with an 80-page character guide. This comprehensive character guide teaches you all the essential Mandarin characters you need to read and write in Chinese. Excellent value for money - at $179 for the Mandarin Chinese Platinum course offers very good value for money. This is a comprehensive course with a huge amount of material. The production value is very high and having access to the online resources is very useful. Not an easy course - if you are not committed to your Chinese language learning, this will not be the course for you. Some courses such as Pimsleur allow for a much more passive learning approach. However the Living Language Chinese course is much more like studying in a classroom. There are reading, writing, and grammar exercises to complete. While this can produce good results, it may not be the best option for people wanting to learn only basic conversational skills. Doesn't teach survival phrases first - for the short-term visitor to China the Living Language course is probably not the best option. 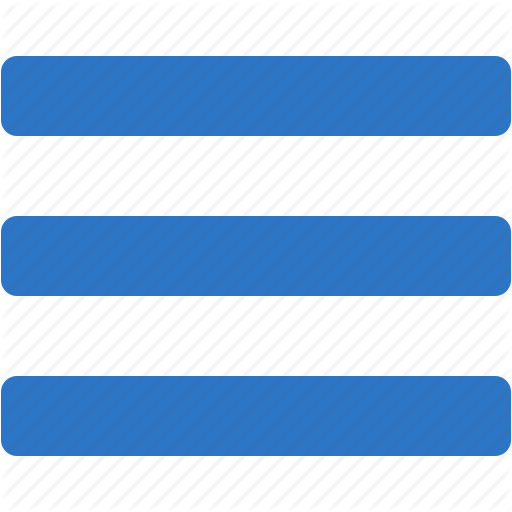 The course doesn't teach basic survival phrases, such as finding emergency information, food and ordering, and directions first. While these things are taught in the course, you need to cover a significant amount of material before you are able to use them effectively. This makes it suitable only for more serious students rather than those who are looking for a few phrases to get by during a trip. You will still need further help - the ads that I came across suggest that you will be able to work towards fluency by the end of the course. The fact is that you are still likely to need the assistance of a live tutor even after you complete the course. The online tutor is helpful, but isn't a substitute for a tutor in person. One of the other mainstream Chinese courses comes from Rosetta Stone (my review). Rosetta Stone is priced at $299 for the level 1 to 5 course. Like the Living Language Mandarin course it also interactive conversations and offers live online lessons. The major difference between the two courses is that Rosetta Stone uses immersive learning, whereas Living Languages uses a more traditional academic approach. If you didn't like the language learning approach you used in high school and want to try something a little different, the Rosetta Stone course might be a better option. However, in my opinion Rosetta Stone Chinese is an inferior product and is overpriced in comparison to Living Language Chinese. Another popular Chinese course is Rocket Chinese (my review). The Rocket Mandarin course is currently priced at $99.95 for the online access. This makes it significantly cheaper than the Living Language Mandarin Chinese. Like Living Language Chinese, Rocket Chinese teaches you to read, write, and speak Mandarin Chinese, and includes online games, voice recording, and progress tracking. Compared to Living Language Rocket Chinese offers slightly better value for money. If you are unsure which course to purchase, take advantage of the free six-day trial offered by Rocket Languages first. The online tutor is a useful and helpful addition. Good value for money ($179 in total) considering the comprehensiveness. Writing and Chinese characters are covered well. Not an easy course to start with for beginners. Lack of survival phrases for travelers and business-oriented language learners. The built-in tutor is at times gimmicky and can't match in-person tutoring. If you are planning a short trip to China, Living language Mandarin Chinese will not be your best option. This highly academic course is more suited to people who want a comprehensive understanding of how to read, write, and speak Mandarin Chinese. Benefiting from the course requires significant time and dedication. Overall it offers a very good approach to learning Mandarin Chinese for anyone willing to dedicate the effort to make the most of the resources provided.